BioSafe Systems has hired Maxwell Gilley. 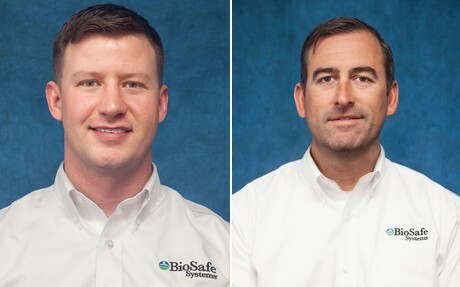 He started his career with BioSafe Systems on January 2, 2019 as the new Technical Sales Representative for Turf & Ornamentals in California. Eric Smith has been promoted to East Coast Sales Manager for Turf & Ornamental markets. In the past two and a half years at BioSafe, Eric has successfully grown his territory, gained product knowledge and built strong relationships with our distribution networks. Eric will work with the team to promote and support sustainable solutions in turf and greenhouse/nursery industries.